Home » Posts Tagged "Working after retirement"
This bill would repeal the loophole in the tax code supported by Gov. Brownback that allowed more than 330,000 Kansans to pay no income tax at all. Most of Kansas supports this repeal but this bill proved problematic. While the bill would have repealed the loophole, it was being sold as a solution to the state’s fiscal woes. Unfortunately, it was not. The bill would have provided an estimated $61 million in 2017 and something over $200 million in 2018. Passage of the bill would have given some legislators the opportunity to say they voted to reverse the damage done to the state, we would actually have faced the same disastrous issues we are facing now. This bill would not have funding our schools, fixed our highways, or protected our pensions, universities, and pre-school programs from the Governor’s cuts, sweeps, and delays. The legislature needs to face up to the fact that “option four” is the only way out of this fiscal mess. Yes, the business income loophole needs to be reversed, but it needs to be done as part of a complete package that reverses the disastrous “march to zero” advocated by Gov. Brownback and his extreme allies in the legislature. CCR SB 63 was an election year gimmick intended to some who support the Governor’s plan the cover necessary to survive their re-election campaigns. By voting for this bill, they could claim to have “broken with Brownback” to solve the problem while actually doing little to help. We can guarantee that those who voted yes on this bill will be tagged as “tax raisers” by the radical right elements of the Kansas Chamber, Kansas Policy Institute, and Americans for Prosperity. 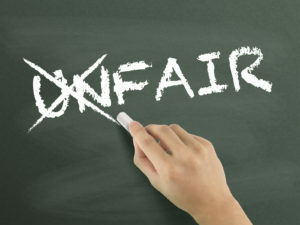 And yes, they would have done a good deed in making the tax system more fair but they would have done almost nothing to solve the fundamental revenue problems caused by the Governor’s comprehensive and reckless tax cuts passed in 2012 and 2013. Now that CCR SB 63 has been done away with, let’s hope that the legislature will actually stand up for Kansas and put together a bill supporting option four – reversing the reckless and irresponsible Brownback tax cuts. No votes are a mixed bag of legislators containing many Democrats and moderate Republicans along with hard right anti-government ideologues. Democrats and Moderates who voted no want to fix the system so that schools, highways, public safety and other vital state services are funded. The hard right wants to continue the “march to zero” and the gutting of those same services. The report failed on a vote of 45 to 74. This conference committee was adopted easily. It contains three bills heard in committees and voted on by the legislature. The third bill changes the rules for capital improvement state aid, establishing a 6 year rolling average cap on expenditures and allowing the State Board of Education to prioritize projects based on certain criteria. 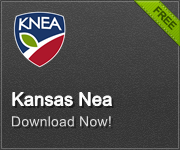 KNEA supports all three bills. The report was adopted 118 to 0. It now goes to the Senate. Makes certain changes in how to extend employment under the exceptions in current law. The bill was adopted on a vote of 117 to 1. Only Rep. Jerry Lunn voted now. We imagine this is because he wanted the bill to include his study of retirement “spiking” via deferred compensation. But we’ll let him explain his rationale. We’re back for the weekend! Or at least Saturday. The House has now adjourned until 8:30 am tomorrow (yes, that’s Saturday). The Senate has not yet adjourned for the day. Keep alert tomorrow! Follow us at underthedomeks.org or by using the KNEA app on your smart phone. We may need your help!